You’ve been discouraged. You’ve had set-backs and experienced heart-break. You have lost something you thought you’d never be without. Sometimes that’s a thing. Often that’s a person. And in those crestfallen days you might be tempted to give up. 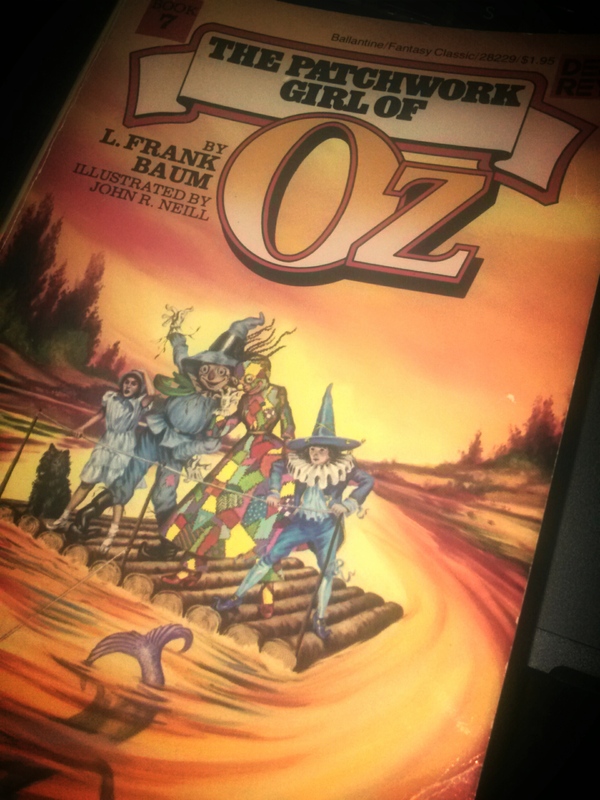 This summer my kids and I are reading through the Oz series by L. Frank Baum. Yes. There are books beyond the Wizard of Oz. And they are fun! 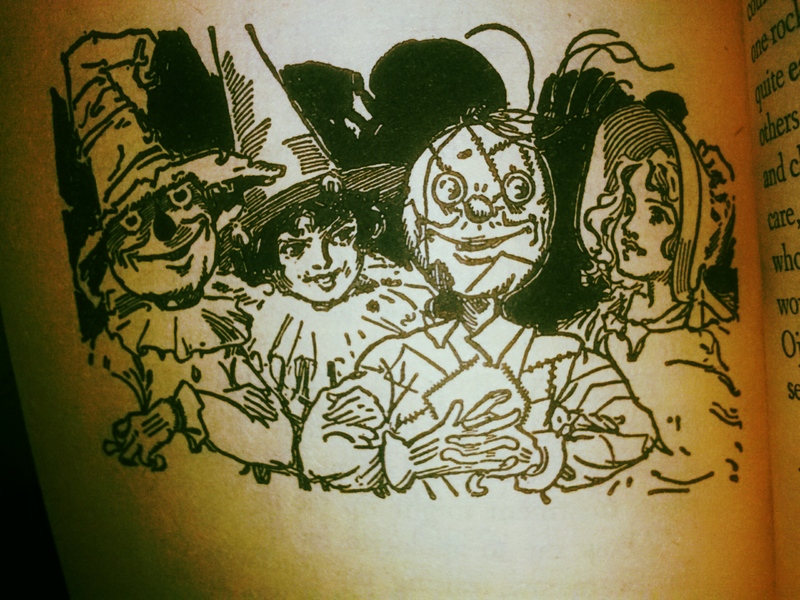 In The Patchwork Girl of Oz, Dorothy makes friends with a boy named Ojo who is on a quest to find…well…you’ll need to read it for yourself to find out. Anyhow, along the way, Ojo becomes greatly discouraged, desiring to quit. Give up. He despaired. But then Dorothy encourages him to never, ever give up because “you never know what might happen next”. What happens next for poor Ojo? Well, the Oz books always end happily. I know. I know. Life doesn’t always go that way. There’s always another conflict ready to leapfrog the happy endings. Encouragement is often followed by a big heaping, stinking pile of discouragement. If we give up…if we stop trying to mend a relationship or giving up bad habits or chasing after our dreams…then we might miss out. Hold on and see what’s coming. That’s what makes this life a grand adventure. In the general sense of “don’t give up on life” or “don’t quit when the going get’s tough” I agree, but I don’t think it’s always black and white. For example, there is only so much one person can do to mend a relationship if the other person won’t reciprocate. Refusing to give up could mean missing out on a fulfilling relationship with someone else. Or you could find yourself halfway to completing a goal that no longer matters. In that case, writing off the effort as a sunk cost and starting on a new goal with a bigger payoff might be the right thing to do. There is a Turkish saying that makes the point well, “No matter how far you’ve gone on a wrong road, turn back.” Sometimes giving up is the best decision a person can make. This was more written in the general sense of “don’t give up on life”. Sorry if that wasn’t quite clear. As far as the Turkish saying, I don’t think I’d consider that giving up. It’s more of a changing courses. You’re right. Nothing is all black or all white. I just meant this as a bit of encouragement to keep going…whatever that means for the individual. I do appreciate your thoughts.